The web has been abuzz the past few weeks with chatter about Microsoft’s announcement today at its Worldwide Partner Conference in New Orleans about the new version of Microsoft Office 2010. There’s even a mini-movie about its debut. Facing potential challenges from Google’s browser-based Apps products and its new Chrome OS, Microsoft has been touting its three screens strategy, which is the ability for products to synchronize across the phone, browser, and desktop, for some time now. PowerPoint has been upgraded not only with a new browser version, but also a slew of bells and whistles have been added to the desktop version. Users now have the capability of editing video and images within PowerPoint with a basic video editing tool (not so different from the capabilities of iMovie) and an image editing tool, which is like a basic, simple version of Adobe Photoshop. Microsoft has also added the ability for users to launch a WebEx-like live sharing feature with other users. So if you create a slideshow in PowerPoint, you can share it with other people in real-time (which can be run on top of Sharepoint). To share a deck with other users, you send an email to individuals with a link. Once they click the link, they will see the slideshow within the browser. This feature can also be used on a mobile phone’s browser. You can also create a slideshow in the desktop version and then publish it to the web version to access it via the browser. 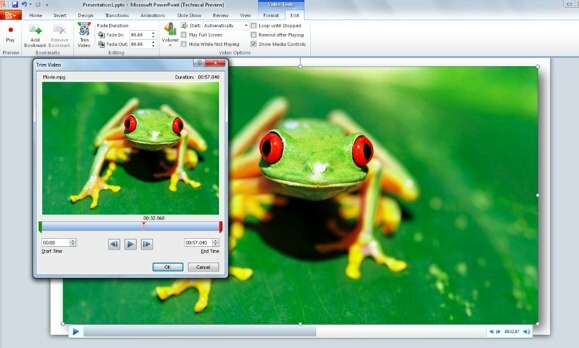 The browser version of PowerPoint doesn’t include the video editing features, but most of the functionality of 2008 is included in the browser version. 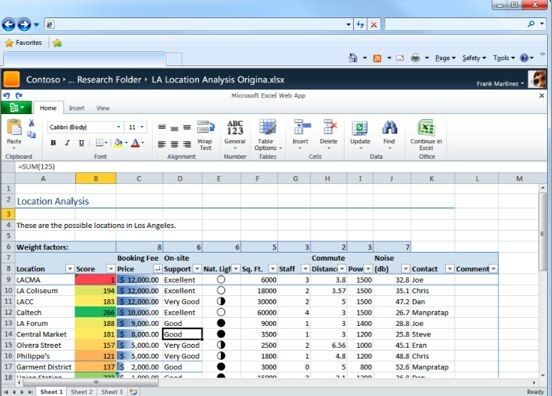 Excel spreadsheets can now run in the browser, and similar to PowerPoint, spreadsheets can be published to the browser via the desktop version. The browser version of Excel has limited features, but offers more in-depth functionality than Google Spreadsheets. Microsoft has added a particularly innovative feature called Sparklines, which gives a visual snapshot image of a data trend over time within a cell. You can also share Excel via the browser with other users and set special permissions on who can access the document. 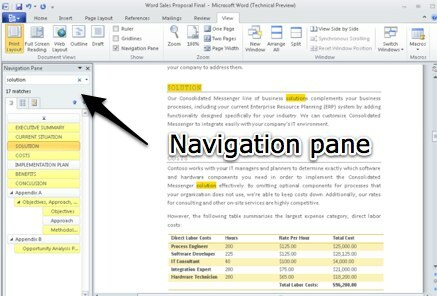 Bryant says that the number one piece of feedback from users producing documents on Microsoft Word is that they want to preserve the look and feel of a document created in the desktop version in the browser. Microsoft calls this “document fidelity” and created the browser version of MS Word accordingly. In the browser, documents retain the same look and feel as in the desktop. The browser version still has the “ribbon user interface,” where you can change fonts, size, formatting, styles etc. Microsoft has also updated the desktop version to have collaborative features so that multiple users can be editing a document at once. This collaboration is not available in the web version, unfortunately. Microsoft says that users don’t want this feature but this might be a move to protect the Office revenue model. When two people are editing the same document (in the desktop version) at the same time, Word will notify each user when there are changes that need to be synced with their document. The copy/paste function of the desktop version has also received an upgrade, where you can see see a live preview for the paste function. The paste function also has an advanced option to create and insert screenshots. To make moving around a long document easier, Word now has a visual navigation pane and section header breakdown which makes it easy to jump around different sections of a document. 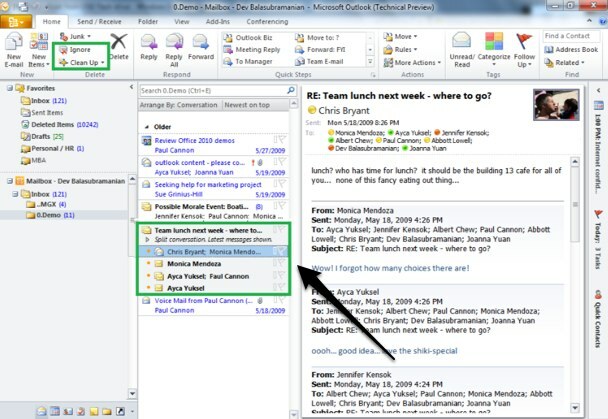 Outlook 2010 now has a ribbon user interface, like Word, PowerPoint and Excel. The UI of email conversations has been upgraded to look almost like a message tree, allowing users a more visual view of sent and incoming emails. Search functionality has been improved as well, making it much easier to find content. Also, you can preview calendars in emails and choose to ignore selective email conversations. Like Outlook, Sharepoint now gets a ribbon UI, making the document-hosting product more similar to Microsoft’s flagship products, like Word. You can tag authors of documents now and can share documents and files more easily. Microsoft says that its browser versions have been tested on all major browsers aside from internet Explorer, including Firefox and Safari. Office 2010 is still being tested and reworked to function on Chrome. Microsoft also announced that it is streamlining the number of Office editions from eight to five. Office Web applications will be available in three ways: through Windows Live, where consumers will have access to Office Web applications at no cost; via on-premises versions; and via Microsoft Online Services, where customers will be able to purchase a subscription of MS Office. 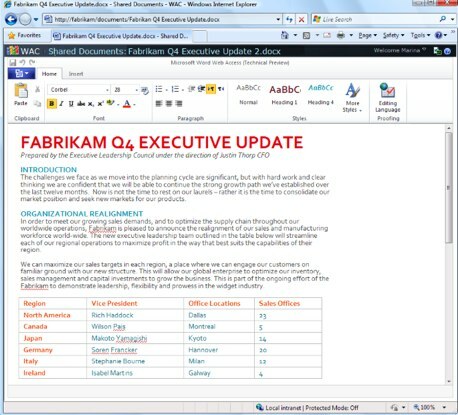 Microsoft says Office 2010 will be available in the first half of next year. The key part of all of this news is the free, browser-based versions of Microsoft’s most popular Office products. Bryant says that Microsoft expects the browser products to be especially popular amongst student, but I think that the web-based applications will be hugely popular in the enterprise space as well, as long as there are security precautions taken to put documents in a secure part of the cloud. But as more and more businesses are becoming comfortable with trusting cloud environments, Microsoft’s move to the browser could pay off in a big way, especially because it’s so easy to use both the desktop and browser versions of products interchangeably. The more successful Microsoft is in its browser strategy, the more they validate Google’s approach in the space, which will eventually put price pressure on Office.